Ever wish you knew exactly what your kids wanted for their birthday, Christmas, or any other holiday that requires you to stroll helplessly up and down the toy store aisles with no clue what to buy? Ever wish relatives had access to the list, too, so you don’t have to answer “What does little Johnny want for his birthday?” a million and one times? Well, it looks like you’re in luck! WishPop is a brand new app that immerses children in a huge selection of kid-friendly magazines that are chock full of awesome gifts. Kids can build a wishlist using the different catalogs and their contents. Once the virtual wish list has been written, children may share the wish list with their list of contacts that have been previously parent-approved. There are two types of login profiles that can be created within WishPop. One type of profile lends itself to parents. It enables moms and dads to keep up with birthday reminders, wishlists, and the people their children come into contact with via the app. The children’s login is significantly more fun! Kids can create an avatar that represents them in their WishPop profile. After they are done creating their personalized avatar, children are whisked away into a highly sophisticated toy catalog that can be browsed casually or by categories. 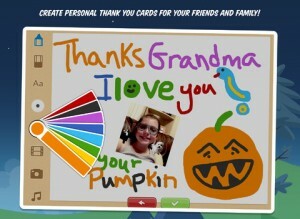 The best part about this app is the capability to send thank-you notes. 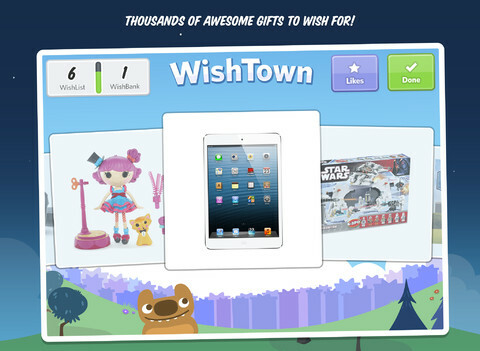 After a child’s birthday or Christmas event, they can login to WishPop and thank each individual contact for the gift that they gave to him or her. The thank you notes operate like a “Paint”-style software that allow kids to create, design and write on their own custom thank you cards. Even cooler? Grandparents, Aunts, cousins or family friends can share the thank-you note that they receive, on their Facebook timeline. WishPop is available for download for free via the Apple iTunes App Store button below.